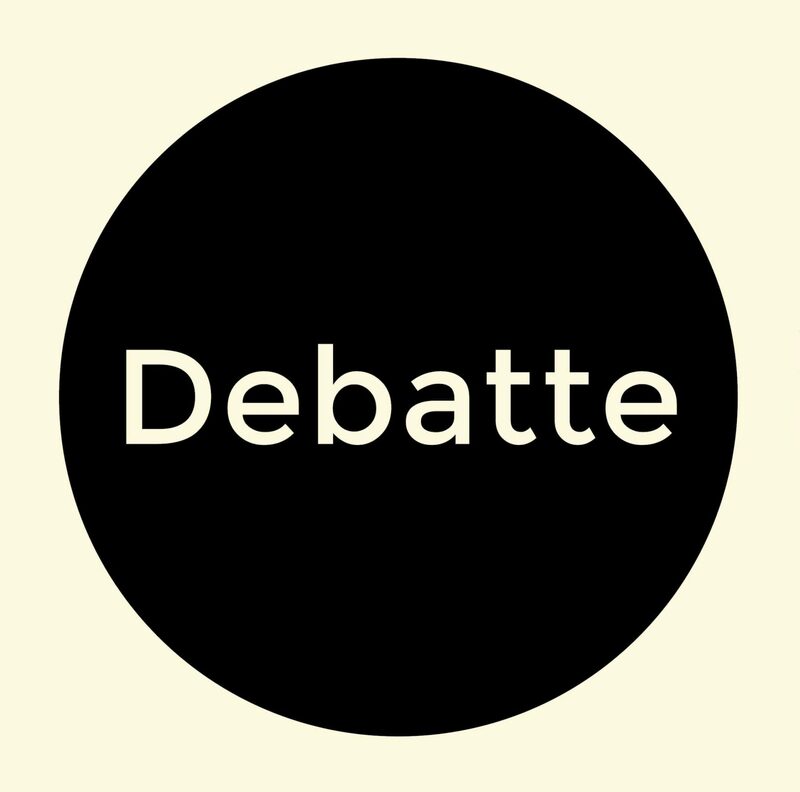 The selection of the topic “debate again(st)” for the first issue of Debate. Contributions to Adult Education emphasizes our objective of reviving debate. At the same time, it points to the idea of promoting disciplinary development through debates as “contending arguments”. This explicit focus is the basis of our mission and is explained in the first contribution of this issue. Hannah Rosenberg and Christine Zeuner deal with the self-marginalization of adult education science, which primarily orients itself according to societal expectations. Based on the results of a discourse analysis of the self-image of adult education science, Hannah Rosenberg addresses the question of how the discipline of adult education can orient and position itself in the future within the conflicting spheres of science, practice, and politics. Proceeding from the observation of a problematic self-description, external orientation, limited autonomy as well as circularity of its own discourses, Rosenberg proposes focusing more strongly than before on substantive arguments within the discipline, accordingly “to set aside the exaggerated self-criticism”(Rosenberg) and to determine its own thematic jurisdiction. In her contribution, Christine Zeuner traces discourses of historical adult education science and relates these to current debates. Her goal is to illustrate the multiperspectivity of the long-standing discourse over historical research of adult education and to resist a legitimating instrumentalization of historical adult education in line with current concerns. It is not about “transferring history onto the present, but about reflecting on and understanding developments” (Zeuner). The thus developed historical competence can guard against succumbing to societal expectations. Carola Iller and Daniela Holzer take a different perspective by focusing on the positioning and marginalization of scientists and topics in the discipline of adult education. In her contribution, Carola Iller addresses venues and formats of debates as conflicting interactions of adult education scientists. In order to identify the accompanying blind spots and subliminal effects, she invokes the concept of “invisible colleges”. This allows the inequalities produced by varying degrees of establishedness among scientists and between anglophone and other language regions to become tangible. In addition, the determination of what is currently relevant has not been based on scientific criteria, but rather on control mechanisms whose effects are amplified by scientists. Accordingly, Iller argues in favor of promoting communication between scientists of varying degrees of experience, “so that new research ideas can be implemented” (Iller), instead of socializing into predetermined scientific structures. Daniele Holzer takes on similar questions from a perspective of dominance and power analytics and attests to the broken culture of debate in the field of adult education and educational science as a whole. Among other things, these fields have been heavily influenced by the positions of powerful speakers. Debates are dominance and power oriented and to expose oneself to them is a risk-filled undertaking, at least for marginally positioned scientists. This situation, however, prevents substantive debate. According to Holzer, it is precisely the explication of debates that gives the “audience thoroughly enlightening opportunities to be able to understand differentiated nuances more clearly” (Holzer). It is essential that debates be made visible as part of social struggles in the field by questioning the semblance of objectively-factual, performance-oriented standards. To lead debates – both with regard to the self-determination of adult education science as well as the positioning of scientists in the field – is of central importance to this journal, Debate. Contributions to Adult Education. education” (Klingovsky) from a genealogical perspective. Replies are explicitly invited (Call for Replies). This article and the replies referring back to it will be published in the second issue of Debate along with submitted replies to the contributions presented in this issue. 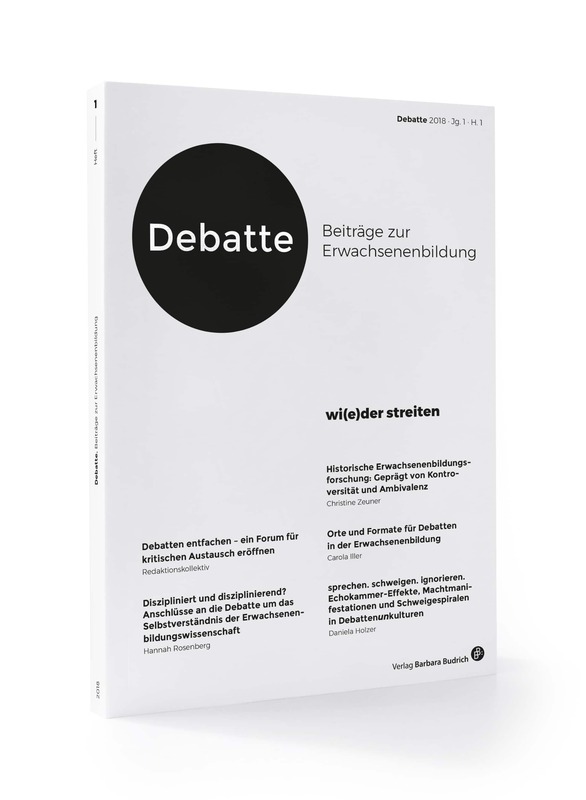 Interested parties are therefore called upon to formulate replies to all submissions in this issue (submit via email to debatte@budrich-journals.de, deadline Jan. 10, 2019). In light of these suggestions we wish you an interesting read and look forward to joint debates!